Now, you buy Amiibos. You collect them. You scan them in. But Nintendo says Amiibos can—and will be—so much more. In the future, Nintendo says, they'll unlock NES and Super NES games. Well, parts of them. In a recent investors meeting, Nintendo exec Satoru Iwata outlined the company's Amiibos plans. "We are also planning a free-download app for Wii U in which you can enjoy NES and Super NES games with your Amiibo in the first half of this year," continued Iwata. "With this app, once you tap your Amiibo on the NFC area of the GamePad, you will be able to play highlighted scenes of one certain title for NES or Super NES." It won't be possible to play full games, however, there is a "time limit." 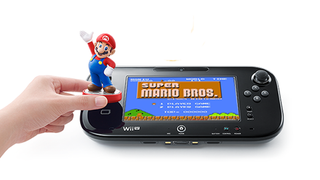 But players if players touch their Amiibo again on the NFC reader, they'll be able to play another part of the game. "We hope that when you tap your Amiibo, the quickly changing game scenes will pleasantly surprise you and make you feel as though you have just exchanged a game cartridge." Not a complete game cartridge, though.